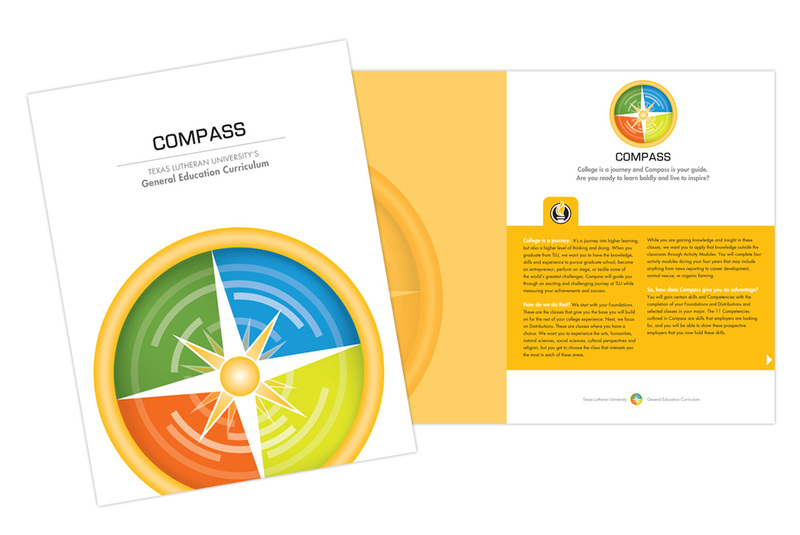 "Compass" is a guide for students to utilize as they map their path in choosing classes that maximize their education. 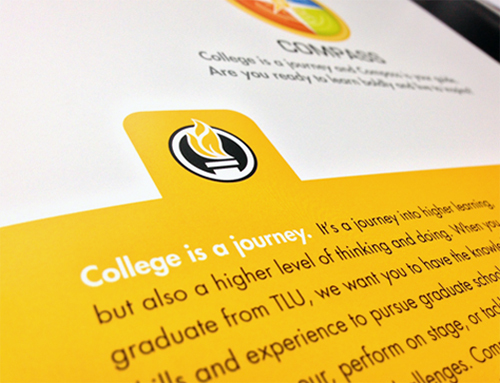 The program also helps prepare them for their career and life beyond college. 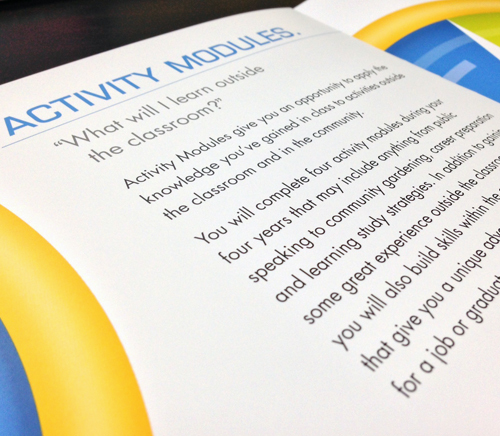 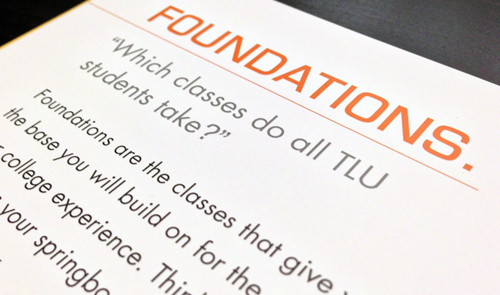 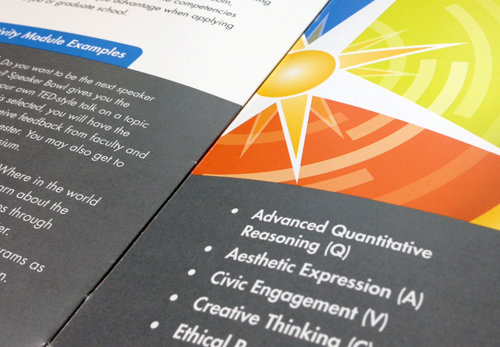 A major goal for the design of the brochure was to make it simple, clear, and easy to read and understand.